I recently spent the winter of 2016/17 in the gorgeous French Alps ski area of Tignes and Val d’Isere. Here is a selection of my favorite photographs. 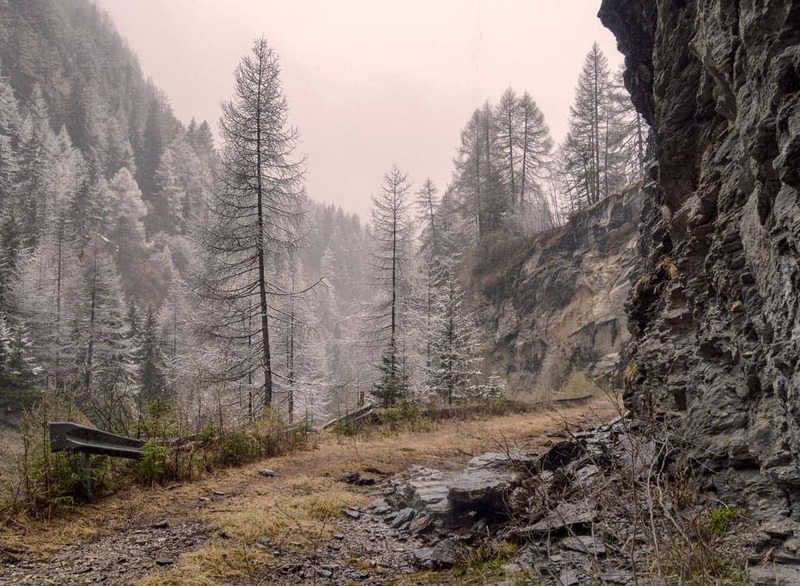 Just a short walk from my home for the winter, away from the ski slopes, I got lost in the magic of a winter in the French Alps. 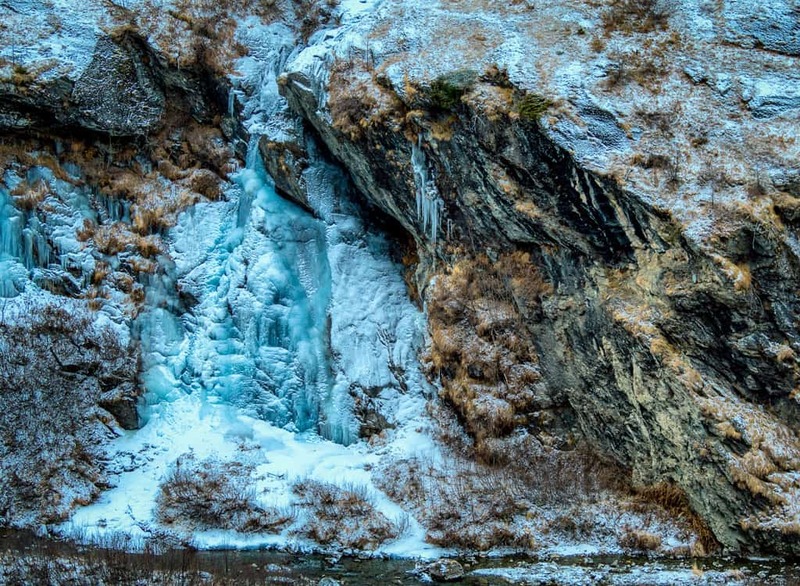 This frozen waterfall has a beautiful blue hue to it, as the raging water froze in the sub-zero temperatures. I lived in Tignes Les Brevieres but my job took me all over the ski area, from Tignes Le Lac to Val d’Isere. This photograph was taken on the road between Tignes 1800 and Val d’Isere, as the Lady of the Lake looks out over the Chevril Dam. This view is one of my favorites in the French Alps. Taken in Tignes Le Lac, looking towards Val Claret, the mountains rise up from the frozen lake. 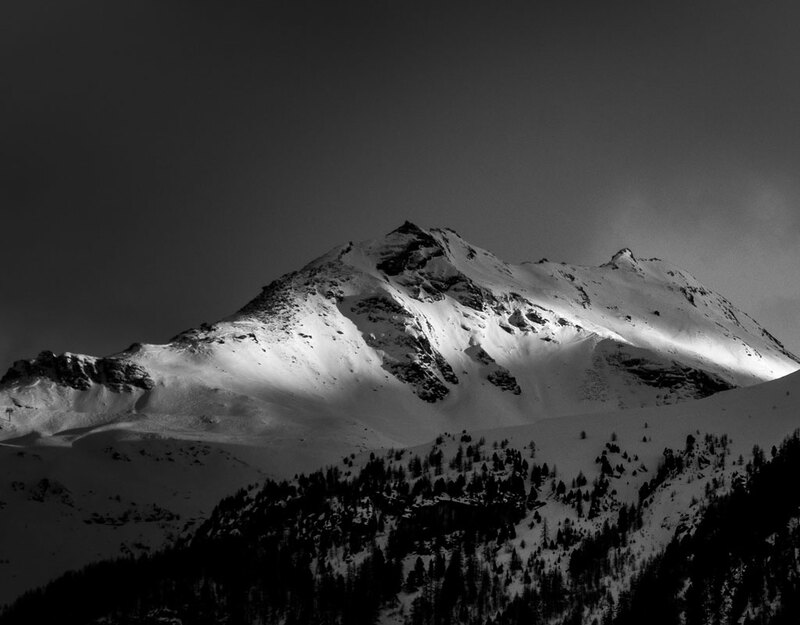 As the sun sets in the French Alps, pockets of light illuminate the peaks. 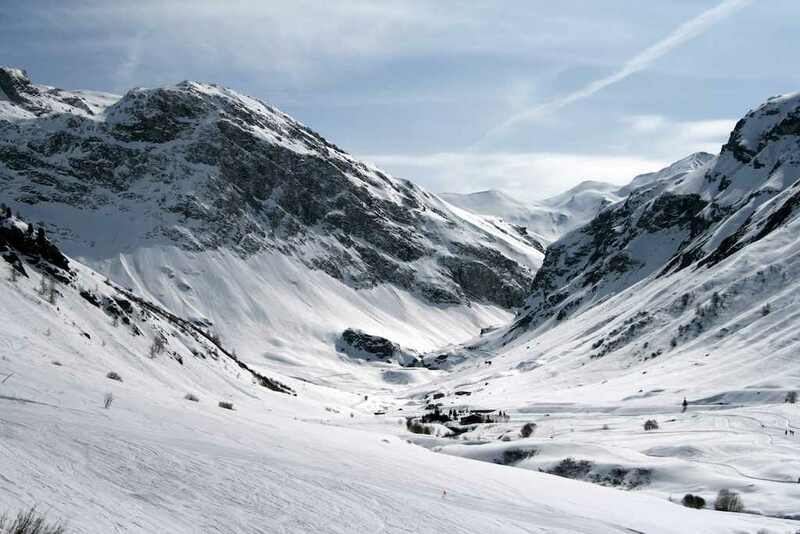 This photograph was taken from the vicinity of Le Chardon catered ski chalets in Val d’Isere. I love the way the light stretches across the frame of the photograph. Views like this never got old. This aerial view of Tignes 1800 was taken from the gondola which connects the lower village of Tignes Les Brevieres to the rest of the ski area. 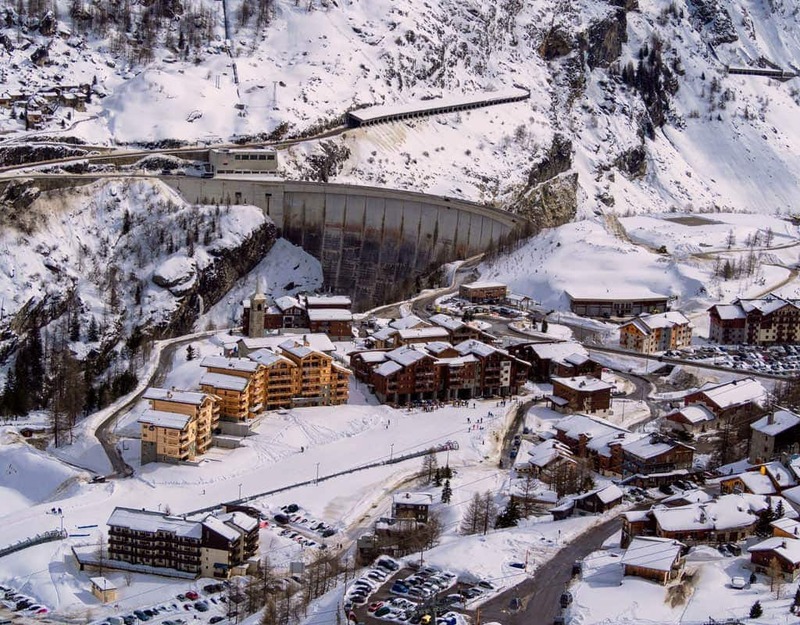 You can see the Chervil Dam holding back the I’sere River, built in the 1950s, it submerged the original Tignes village as France was desperate for electricity in the years after World War II. This photograph was taken while I was waiting for the authorities to conduct some avalanche control work on the peaks opposite me. The thick layer of cloud made for some great compositions while I waited, sadly it also obscured the peaks of the mountains just as the control commenced. It seems that every village in the French Alps has a church, and these churches have these incredible spires reaching to the heavens and visible from miles away. 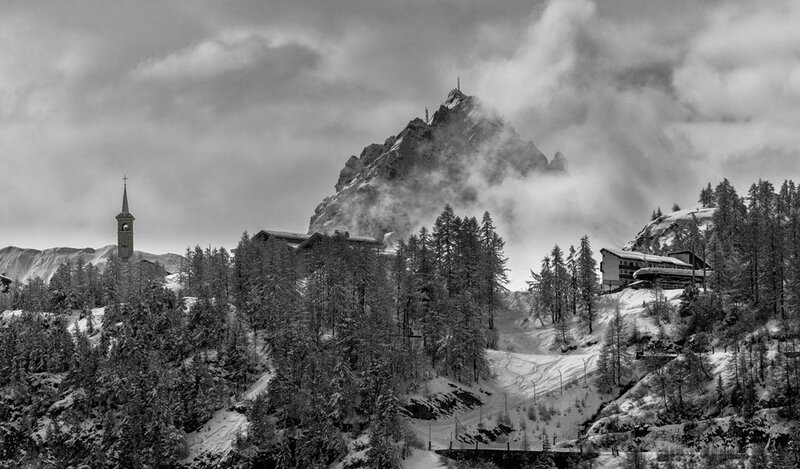 This photograph is one of my favorites from my winter in the French Alps, the clouds, the huge imposing peaks and the church all combine to great effect. On my last day in the French Alps, my skis packed away for another winter, I went for a stroll as a light snow dusted the area. This photograph was taken high above the I’sere River as it meandered through the gorge. Behind me loomed the huge Chervil Dam, despite being just a 15-minute walk from the village of Tignes Les Brevieres, I was alone, the silence penetrating. Follow Mike Cotton’s blog: Nomads on the Road. Is working in a ski resort for you?